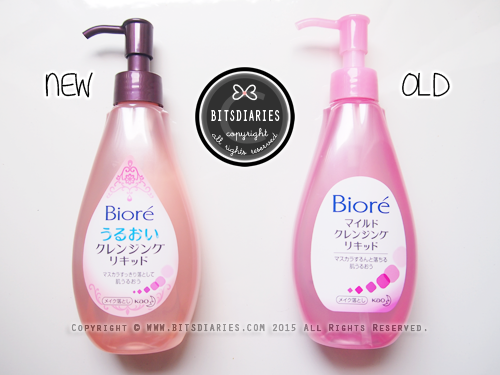 Check out my review on the previous version of Biore Aqua Jelly Makeup Remover. 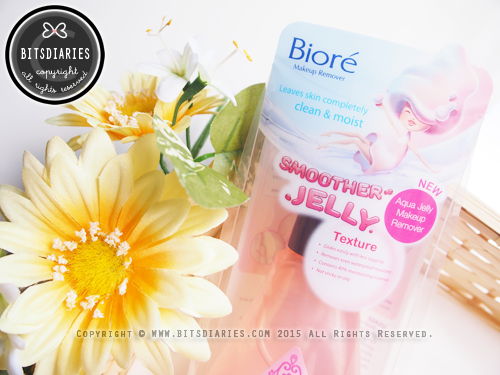 Compare to the previous version, the NEW Biore Aqua Jelly Makeup Remover has a smoother jelly-like texture that glides easily on skin to remove makeup with less rubbing and tugging. 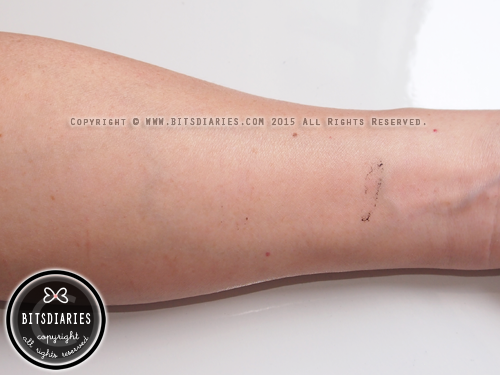 the NEW version is indeed smoother and more watery than the OLD version. It's lightweight formula and superior cleansing ability remove even waterproof makeup and rinses off easily with no sticky or greasy after-feel. What's more, it contains 40% more moisturizing essence to leave skin dewy moist and softer! 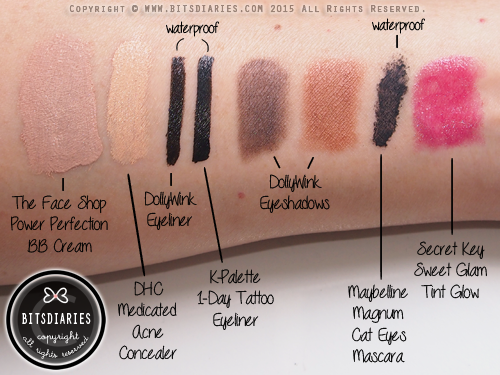 Ideal for all skin types! *P.S: I got my mom to help me out for the demonstration pictures as it was easier for me to take the shots. It did a good job in removing non-waterproof makeup quickly and cleanly in a few rubs, but it did not remove waterproof makeup, particularly eye makeup, as quickly. 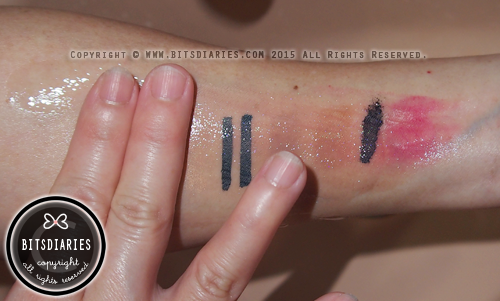 As shown in the pictures, there were still some traces of waterproof makeup left, which actually can be removed but may require a longer time to dissolve fully. So if you are the type that removes makeup in a haste, it might wear your patience. Anyway, this did not bother me much as I have a habit to use a separate makeup remover — Biore Makeup Remover for eyes & lips, that is designed for eye area. It rinsed off easily but I felt it left a layer of 'something' that made my skin feels slippery during & after rinsing and before towel dry. Despite that, it did not make my skin feels oily or sticky after towel dry. In fact, it leaves my skin feeling much softer and moisturized. using my newly bought device from Japan to prove my claims are true. 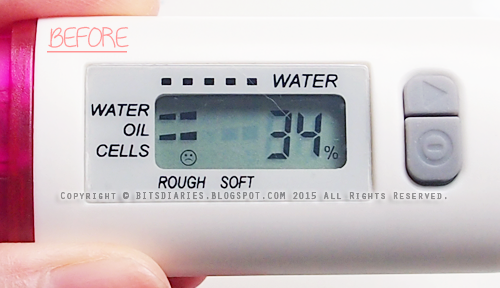 Skin's moisture increased from 2 bars to 4 bars; from 34% to 46%. Oiliness increased from 2 bars to 4 bars. Skin's cells (.aka. 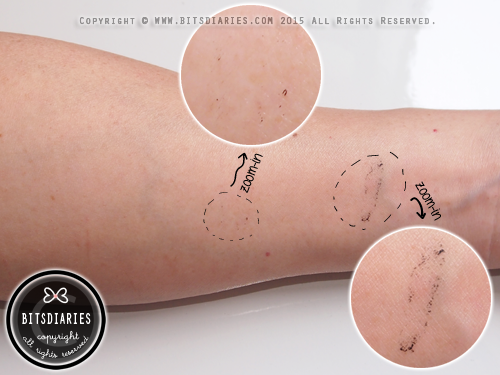 skin texture) feel much softer now. 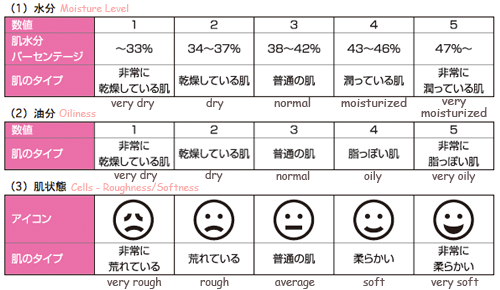 I was quite puzzled when the result for oiliness increased to 4 bars (oily level), because honestly, my skin did not feel greasy at all after towel dry. But as mentioned earlier, "...it left a layer of 'something' that made my skin feels slippery during & after rinsing and before towel dry". So I took a look at the ingredients list and found out that this product does contain mineral oil, which I guess it might be the cause that resulted in an increase in the oil level. However, it did not cause my skin to breakout as I would always proceed to a second cleanse with a facial cleanser. Therefore, I think it isn't a big issue. 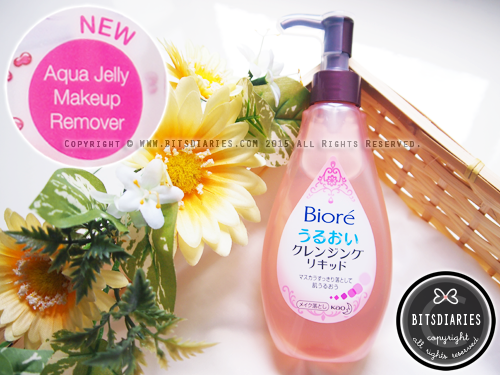 In summary, in my opinion, the new Biore Aqua Jelly Makeup Remover removes non-waterproof makeup effectively and quickly. 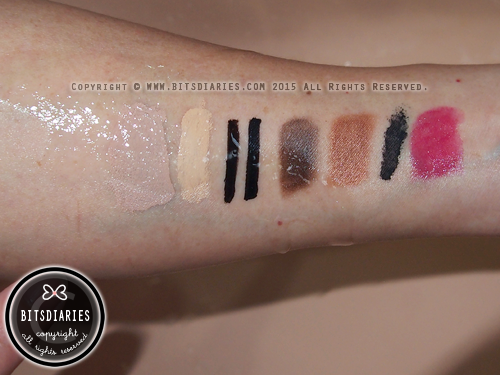 However, it may take more time to dissolve and remove waterproof makeup completely. After which, it leaves skin feeling refreshed, dewy moist and softer. 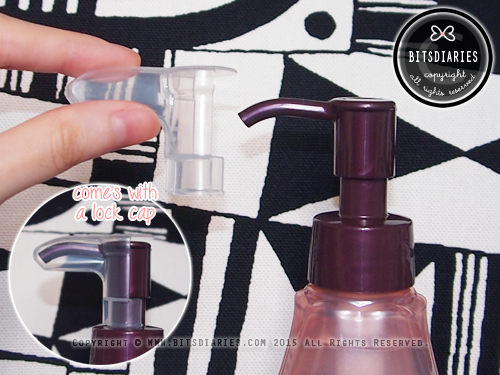 By the way, if you are planning to bring along to travel, you don't have to worry about accidental pump/leakage in your luggage or bag because it comes with a lock cap. The NEW Biore Aqua Jelly Makeup Remover is now available in all leading supermarkets, personal care stores and western pharmacies & departmental stores at the price of SGD$24.90. 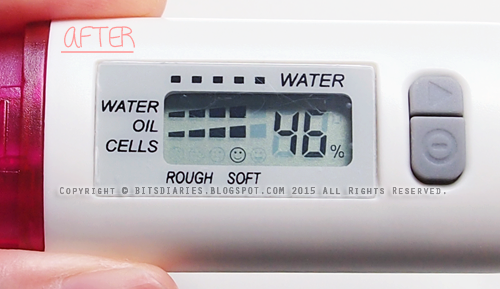 Hi, do you mind sharing where you got your moisture tester in Japan? I have been looking for one and may be visiting Japan soon!